Eagle County, Colorado County Commissioner’s Violate Federal Drug Law! Dateline, June 2011 Eagle County, Colorado: Federal Law under Title 21 of the United States Code, Section 841 – makes the distribution/possession (among other things) of Marijuana illegal. The vote was 3-0 in favor of the resolution that marked the violation. 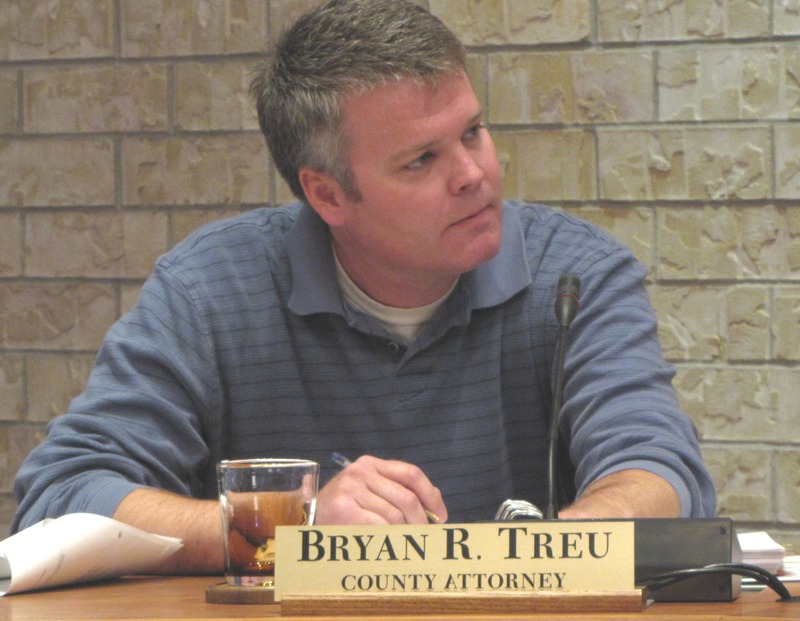 This done (and endorsed) by Eagle County Attorney – Bryan Treu, who told your Commissioners – “you’re doing the right thing” (on camera) just before their vote at the Board of County Commissioners public meeting last week. Since when attorney Treu, does the violation of Federal Drug law constitute “doing the right thing”? Perhaps the most pressing challenge to Colorado’s medical-marijuana businesses came in a U.S. Department of Justice memo. In this week’s memo, Deputy Attorney General James Cole wrote that people “who are in the business of cultivating, selling or distributing marijuana and those who knowingly facilitate such activities” are in violation of federal law, regardless of their state laws. U.S. Attorney for Colorado John Walsh forwarded Cole’s memo to state Attorney General John Suthers on Friday morning. Suthers said he took the memo as a sign that the federal government has not approved of the boom in the medical-marijuana industry, in Colorado and other states across the nation. « Eagle County’s Economic Locomotive – Vail! The United States Supreme Court has ruled several times on the side of state’s rights when it comes to federalism and the literal reach of federal laws that violate states sovereignty. Our commissioners voted in favor of a resolution that supported the needs and wants of their constituents. And we wouldn’t have it any other way. Thank you for being brave and informed, Eagle County BoCC. We are proud to be governed by people who recognize our rights as citizens and as patients! Let’s take your Supreme Court argument – and see if your reasoning is correct – at least from a historical perspective. Circa – 1860 to 1861 – The number of Stars on the American Flag was reduced by 11 today – as the U.S. Supreme Court ruled against President Abraham Lincoln – supporting instead the States rights of the 11 Southern States that Seceded from the Union. The Court ruled that the right to ‘keep and bear arms’ is no different than the right of Southern States to ‘keep and own Slaves’. Circa 1973 – U.S. Supreme Court – Roe v. Wade – ruled in favor of States Rights – and has left the question of ‘a woman’s right to choose’ up to individual States. A better argument on your part – would be to support getting Federal/State law reconciled before an more of this nonsense and confusion caused by the Eagle County Commissioners – goes any further. The ECT has long since made that argument to the Commissioner – and our request was ignored. Thanks for reading the ECT – you’ve helped make our point with your comment! Let’s see if we can improve “Murphy’s” confused knowledge of American History, as it pertains to decisions by our U.S. Supreme Court. 1957 U. S. Supreme Court issues ‘Brown v. Board of Education of Topeka, Kansas. The decision declared all laws establishing segregated schools to be unconstitutional, and it called for the desegregation of all schools throughout the nation. States Rights, Mr. Murphy? Don’t think so. Circa 1920’s – although later repealed, U.S wide Prohibition – was not a matter of States Rights either. Bootlegging we can agree was widespread at the time…. Instead of just quoting specific issues in which the federal government’s constitutional authority grants it supremacy over states, you could talk about the actual constitutional rights states have in THIS regard. According to tenth amendment the states have the rights that are not specifically given to the federal government. Congress has claimed that it has the right from the constitution to regulate drugs in America. It further claims it can prohibit the production and transportation of drugs because it is part of a greater program to limit the interstate transportation and sales of drugs. Thus it can use the commerce clause to gain supremacy over state laws with regards to drugs (see Gonzales v. Raich 2005). The Supreme Court has already decided on this. Your comment reads like we’re (ECT & Michael) mostly in agreement. Cocaine, Heroine, PCP, Methamphetamine…ect…only on the bit about Marijuana are they all up in arms it seems. I agree that this conversation could be more effective if resolved by congress, however, the illicit behavior ECT implies to be behind most politicians decisions unfortunately also explains the inefficiency of an updated federal policy involving marijuana. The same people capable of overturning prohibition in the 1920’s are the people preventing the end of marijuana prohibition today. Bribery is widespread at this time, no? Because Colorado has implemented the use of Medical Marijuana as an Amendment to the State Constitution that medical use is respected as a RIGHT. That being said, thank you Supreme Court, state law may not trump federal laws – but citizens rights always will. Citizens rights are the reason that each of those civil rights cases cited was overturned – because laws were violating rights. It is understandable that the “right to own slaves” did not hold up against other completely contradictory rights like those of the right to bear arms. I however, will continue to believe that a citizens right to – under the recommendation of their physician – treat their illnesses effectively will prevail at a federal level. Cite some more opposing (and also probably ancient) rulings if you wish, but remember that some of us are brave enough to defend our own cases and make our own history. Murphy – just looked you up. ECT sees you’re (associated?) with a MMJ business that has a store here in Eagle County. This fact kind of ‘muddies the water’ of your so called “rights” argument. You argue “rights” – however you being in the MMJ business – given the fact that most private sector business are in business (to make a PROFIT) weakens your argument, it doesn’t strengthen it. Your argument seems more like the historical (Circa 1862) one…I have a RIGHT to my Slaves on my cotton plantation – because my Slaves labor – guarantees me of my Profit. I have Slaves, my daddy did too, and I’m willing to defend my RIGHTS and take up arms against Lincoln and all who would support Lincoln’s position – against my States RIGHTS! Long live the courageous Jefferson Davis, who understands my RIGHTS, as I do! whoever is “eaglecountytimes” is an embarrassment. you policy is to personally look up those who make comments on your website to try to personally discredit them? no wonder you have a FOX news feed on the side of you newspaper, because you are not fair and balanced as you hide behind the “eaglecountytimes” wall. the issues are the issue. not discrediting people who post opinions. why don’t you focus on the investigation into the DEPARTMENT of JUSTICE itself via FAST and FURIOUS. not even the department of justice is above the law. so, credibility is out the window for them now too. This is a disgrace to journalism. When you can’t refute the facts….attack the messenger! Right on Ect. Call them on it. It’s not about compassion it’s about money. YOU HAVE NO CLUE AND JUST DONT KNOW HISTORY. Lincoln didnt FREE THE SLAVES (he even owned them) as the war was on. Lincoln was a TRAITOR as were 95% of them. All Intelligence is now Counter-Intelligence. The media is a Counter-Intelligence organisation. The media backs every war including the drug war. The role of the media and embedded historians is to surround the truth with a bodyguard of lies. You have never lived in History. You have only ever lived in the Con. So just what was Lincoln’s “Emancipation Proclamation”, then anyway? There is over 16,000 books on Lincoln, and the only thing they will agree on is that Lincoln took this country from a place of personal Liberty and Freedom to a place of centralized government and “Empire.” A place at considerable odds with the framers of the Constitution, a place we have now, where the Feds are completely out of control, criminal, and indeed insane. Lincoln was not an abolitionist, he believed slavery to be wrong but nevertheless protected by the Constitution and was content to contain it in the South. Tocqueville wrote that “the prejudice of race appears to be stronger in the states that have abolished slavery than in those where it still exists; and nowhere is it so intolerant as in those states where servitude has never been known.” Northerners discriminated against blacks in cruel and inhumane ways during the 1850s, raising serious questions about he notion that the majority of the population in the North elected Lincoln. So-called Black Codes existed in the North decades before such discriminatory laws were enacted in the South. DENVER POST 01/03/2010 Denver may be Pot Capital, U.S.A.
State Law versus Federal- Which rules? When Congress chooses to expressly preempt state law, the only question for courts becomes determining whether the challenged state law is one that the federal law is intended to preempt. Implied preemption presents more difficult issues, at least when the state law in question does not directly conflict with federal law. The Congress shall have Power…To make all Laws which shall be necessary and proper for carrying into Execution the foregoing Powers, and all other Powers vested by this Constitution in the Government of the United States, or in any Department or Officer thereof. Concerning me “attacking the messenger” as a LIBERAL? : Ironically, that was the point of my recent comments pertaining to your journalism style of attacking the person who you researched and claim is part of the medical marijuana industry: YOU are attacking that messenger looking up that person’s info and saying they don’t have credibility because they are part of the industry! It is shocking that someone who would consider themselves conservative is against business and local businesses via you saying that someone whose livelyhood is on the line has no credibility? Who has credibility on the subject, someone who knows nothing about what they are talking about nor has their livelyhood on the line? Furthermore, I am a libertarian, not a liberal, but way to go with assumptions. As a libertarian, I am all for legalization of marijuana. What the eagle county commissioners did is a necessary part of the process and was very brave, smart and good for Eagle County and the associated businesses and thousands of patients in Eagle County that won’t have to leave Eagle County in order to spend their dollars in all the other Colorado counties that will take their monies. Ron Paul and Barney Frank just recently entered the first federal legislation to legalize marijuana and give this matter to the states to decide what is best for themselves. The people of Colorado and Eagle county via VOTES have made it clear that is what we as the people want in our state. Your stance provides little in the way of helping create and maintain these businesses. Times have mandated change in order to stop wasting tax payer dollars for prossecuting non-violent marijuana crimes. The people of Colorado have voted to move forward in this process and generate revenue, not continue to pile debt on top of debt in a losing battle. Colorado is on the forefront of this process and is leading the Nation, yes, leading, not following. Some grey area perhaps are involved in the process, but that is what is happening with this judicial and legislative process You should follow Ron Paul, who is a Libertarian, not a liberal. You should follow Eric Holder, the US Attorney general who stated that the federal government is not interested in prosecuting those following their own state’s rules concerning medical marijuana. The Colorado medical marijuana industry has NOT been prosecuted by the federal government because practically speaking they have stated that it is not a priority. Yes letters from the federal government made it unclear what will happen next, due to the fact that law enforcement officials, prison operators, state drug counselors and many more have their livelyhoods on the line due to the fact that if the USA stops wasting money and time prosecuting those involved with marijuana instead of working with them, many will have to change jobs and will lose revenue because the jails and courts will not be filled with non-violent marijuana users. This new industry is generating revenue in tough times and it is the most regulated industry in the entire country. Perhaps you should rethink your stance and attitude towards those working towards rational goals and movging towards a better system that was voted into our constitution of Colorado. Perhaps you should support your community. Perhaps you should stop bad mouthing those who take the time to comment on your articles…..stop attacking me and others presentlng our opinions. U.S. Attorney General Eric Holder promised Thursday to clarify the Justice Department’s position on state medical marijuana laws after federal prosecutors warned they might prosecute everyone from licensed growers to regulators. Several U.S. states have started reassessing their medical marijuana laws after U.S. attorneys recently sent stern warnings that everyone from licensed medical marijuana growers to regulators could be subjected to prosecution. Dispensary partners say the clinics create job growth in a stagnant economy. btw-my post is just info only. From what i have read, it does appear fed overrules state *if* they chose to do so. I don’t think it’s the place of the feds to enforce the laws of Colorado. Do you? This debate is about one set of rules, that applies equally to everyone. Not one set of rules, that applies “over hear” but not “over there”. Gov. Wallace (et al) wanted a different set of rules for individuals for one person vs. another. By the way…Chris – just how did that work out? Still two sets of rules in Alabama?